When I’m working with a company or with a client I like to think about their customer. The mojo truly flows when the company I’m working with thinks about their customers. There’s a company in South Carolina called Clark’s Pest Control. Clarks is dedicated to kicking termites, bedbugs, and other crawling pests from your home. 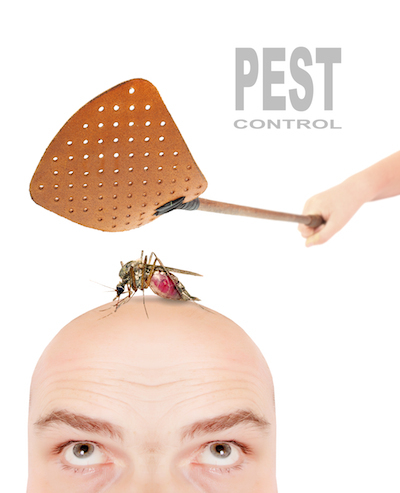 Clarks Pest Control gets the ick factor of pests. But, you need to know what emotionally moves your customer. For Clarks Pest Control it’s keeping the family safe. Protection. Basic and primal. It’s papa bear and mama bear protecting their young cubs. These emotions are in all of us. What emotions do your customers experience when they use your product or service? Previous Previous post: Why, I’ll Just Produce a Viral Video!